Enter your email address below to receive a notification when Mama Bird Box starts accepting new sign-ups! Enter your email address below to receive a notification when Mama Bird Box is accepting new sign-ups again. Our boxes ship weekly! Boxes ship about a week after an order is placed. 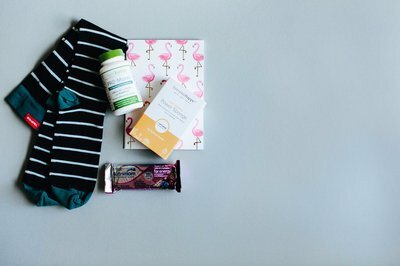 Mama Bird Box is a fun, modern monthly subscription box for pregnant and new moms. 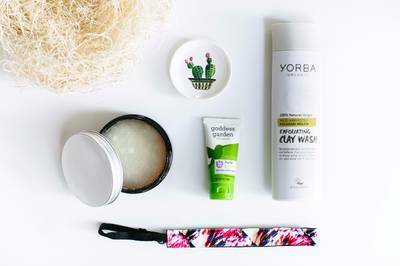 Boxes come with a mix of 4-6 pampering items. Each box has products that give attention to her specific needs for health, encouragement, and wellbeing. 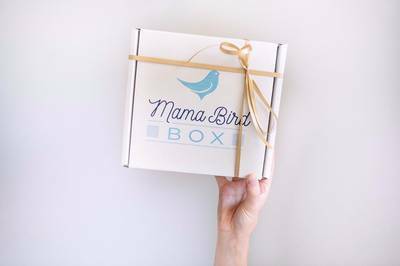 Mama Bird Box can be enjoyed by anyone in their pregnancy and beyond! 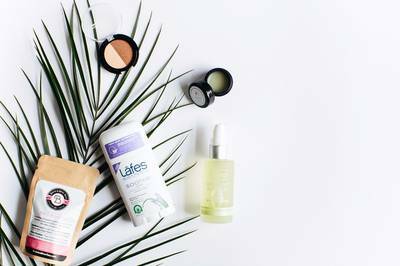 Items include: organic skincare, healthy snacks, accessories, supplements, and more! 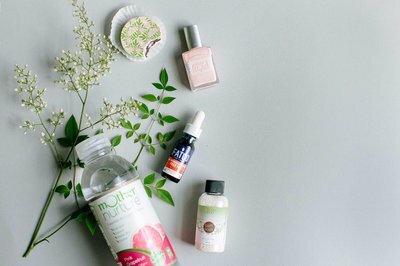 Gifting Mama Bird Box is the perfect way to pamper a pregnant mama. Mama Bird Box enriches and uplifts the joys and struggles of pregnancy. With a variety of pricing options, there is one perfectly suited for her. The product value of the box always exceeds your cost. 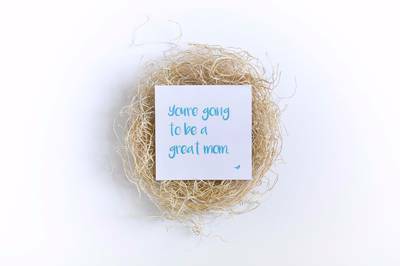 But we see the biggest value in giving you gifts of encouragement and introducing you to useful, new products! I loved receiving my Mama Bird Boxes. 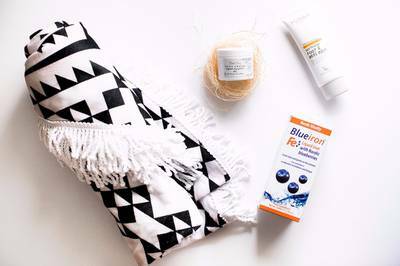 The products were great during pregnancy when I was wanting everything to be safe and natural. Many I still use after my baby was born I like them so much. I've been a customer of Mama Bird Box since they first launched, when I was pregnant with my first baby. 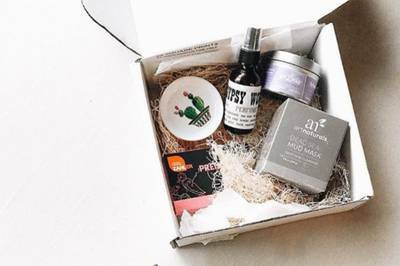 It was such a treat receiving my first box, and everything in it was either thoughtfully practical or perfectly indulgent. I still have the beautiful ceramic dish from my box, and I use it daily as a tray for matches after lighting candles. I've also given more Mama Bird Boxes more times than I can count. 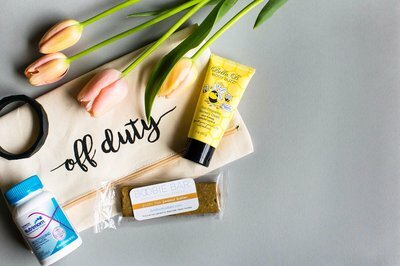 It's the perfect gift to encourage a mom-to-be and to spoil THEM as opposed to just prepping for baby. My favorite experience was buying a subscription for my friend who lives in France. She was far away from family and going through all the phases of pregnancy alone, and her Mama Bird Boxes always came just at the right time. She emphasized to me how perfect each box was, and how it contained just what she needed. Often they were items she couldn't have ever found in the French countryside. All that to say, I can't stress enough how great of a gift these boxes are! You never know how they will touch someone's day or positively impact their experience of pregnancy. I have ordered numerous Mama Bird Boxes for expectant family and friends. I love that it's focused on the mom-to-be, rather than being part of an endless stream of baby gear. 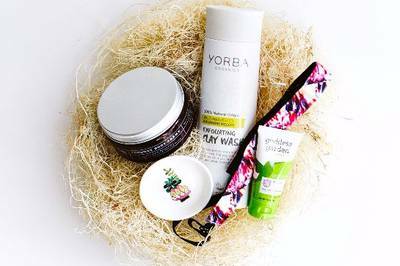 The boxes are thoughtful, encouraging, and the products are unique and useful. The owner, Beth, has always been very helpful in responding to questions. Will continue to purchase these as gifts, as it's so easy and I've gotten nothing but positive feedback so far.